Three gorgeous new regular size lids for your POLARITY RECYCLED LOCKET allows you to wear a new necklace (or ring or bracelet) everyday! 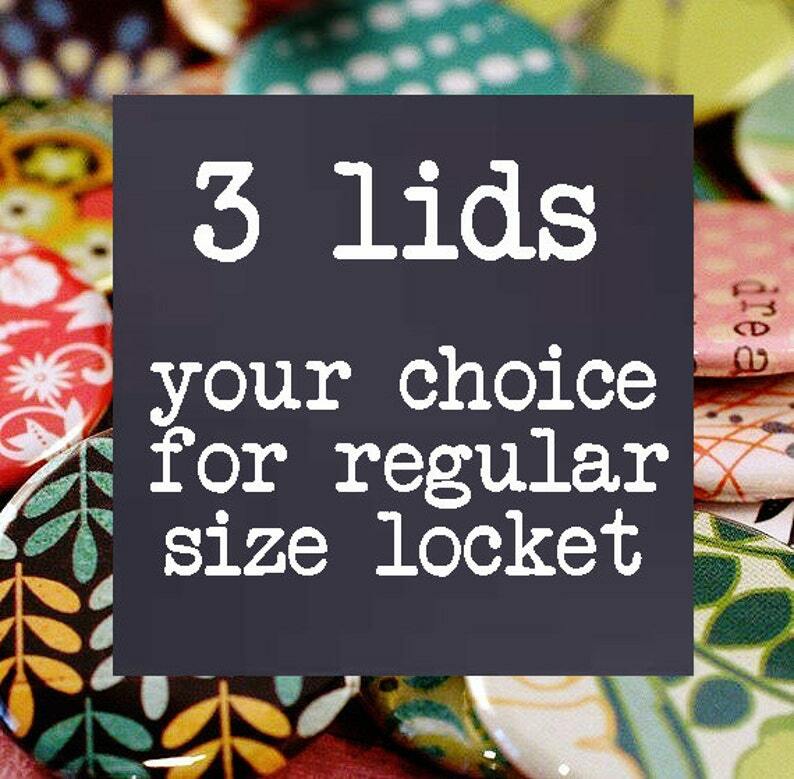 Choose ANY 3 lids from my shop! Let me know your choices in the comments to seller section of your order. I will email you to confirm - if there is something that I no longer have I will choose something similar. My polarity jewelry designs are copyrighted February 2008, the images on the jewelry are copyrighted by the copyright holders and used here with permission. There are many legends accounting for the discovery of magnets. One of the most common, is that of an elderly shepherd named Magnes, who was herding his sheep in an area of Northern Greece called Magnesia, about 4,000 years ago. Both the nails in his shoes and the metal tip of his staff became firmly stuck to the large, black rock on which he was standing. This type of rock was subsequently named magnetite, after either Magnesia or Magnes himself. I loved everything about the additional lids I ordered. Each one means something to me, especially the lids I ordered for my mom with my dog’s picture on them. My dog is a special rescue dog who has been struggling with different ailments, but through it all, she is the light of our lives. Great shop and customer service! Grand kids love using these also for refrigerator magnets for their art work at our house. Very cute! Thanks Cat - twins love the extra unicorn and Dino! Have placed multiple orders from this Etsy Shop and highly recommend.